Todd Rundgren has been covering Weezer’s Green Album single “Hash Pipe” for the last few years, way before Toto ever tackled the song. 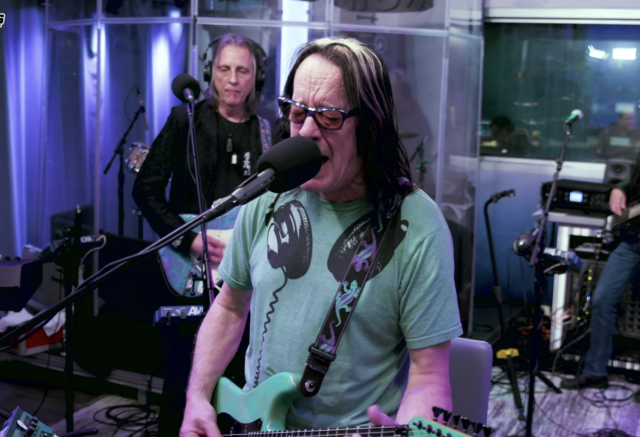 On Friday, Rundgren brought his cover to the SiriusXM studios, where he was joined by his live band to cover the song. With a soaring falsetto, Rundgren brought a light-hearted energy to an otherwise fairly self-serious song. Weezer’s Black Album was released in March. Earlier this month, the band stopped by the offices of NPR to perform an acoustic set for their Tiny Desk concert series. The band released a covers album called The Teal Album in January featuring their chart-topping cover of Toto’s 1982 hit “Africa.” Hear Rundgren cover “Hash Pipe” below.